Eminence combines more than half a century of herbal craftsmanship and innovation with Hungarian inspired healing to offer proven treatments and recipes. They believe in using only natural ingredients and in utilizing their full ripeness and potency to create their products. Furthermore, Eminence products are made with the highest ethical standards without compromise to the environment. Oxygen Botanicals’ products and treatment protocols utilize molecular oxygen that is derived naturally from the air instead of through chemical, biological, or bio-chemical means. Oxygen, as a delivery method, is coupled with botanical extracts and complexes that have been scientifically proven to contribute to skin feeling healthy and looking beautiful. Jane Iredale introduced her unique skin care makeup line in May of 1994. It was the first full makeup line on the market to offer not just color enhancement but also benefits to the skin. The products are based on micronized minerals and are made without fillers and binders (such as talc and mineral oil) and without chemical dyes or preservatives. As a result, the Iredale products are carried by salons, spas and medical clinics throughout the world. 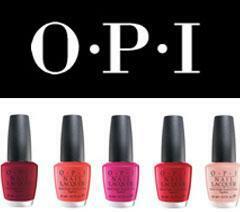 OPI has always been committed to providing our customers with the finest quality in products and services. From its inception, OPI broke through nail industry barriers. Schaeffer was one of the first in the nail industry to focus on and limit sales of product to and through beauty professionals only, and who realized the importance of education in both the sale and use of the product. From the very beginning, OPI has shown its commitment to quality by putting batch numbers, instructions and ingredients on all of the products it sells.